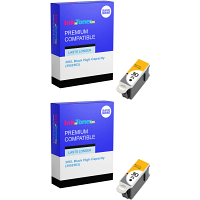 Kodak ESP C110 Ink Cartridges Have you had enough of shedding out substantial amounts to purchase the relevant Kodak ESP C110 ink cartridges that you're after!? Have you also had enough of your Kodak ESP C110 ink cartridges running out of ink too quickly for your liking!? - Well, if the above has relevance to you then it's a good thing you've arrived here at InkNTonerUK today! 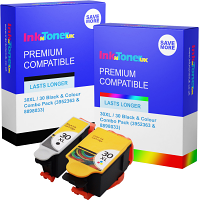 InkNTonerUK are a superlative retailer of all the printing consumables you could possibly need, and in this case vend the essential Kodak C110 ink cartridges at costs that you can smile about! At InkNTonerUK we have a set of high standards in which we certify ALL cartridges we vend meet before sale, and consistently reassure you that the ANY consumables you'll obtain from us, relevantly your NEW Kodak ESP C110 ink cartridges will be of nothing less than TOP-QUALITY, leaving you with the finest results with EVERY print job made. 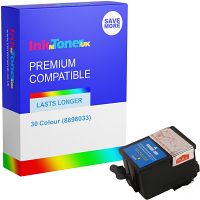 No need to worry about your cartridges running low to quickly either, as we ensure ALL cartridges supplied by InkNTonerUK contain an INK and in cases toner capacity to the fullest...Making them as LONG-LASTING as they possibly can be...The necessity to purchase NEW Kodak ESP C110 ink cartridges becomes lessened. So, what's stopping you from purchasing your NEW Kodak ESP C110 ink cartridges from us today!? - The Kodak ESP C110 ink cartridges alike any other consumable you'll find available for acquirement on our website is positively LONG-LASTING, or a FIRST-CLASS QUALITY & best off all are appreciably CHEAP. You'll have no issue when it comes to maintaining the highest standard of steady flowing printing in your workplace and/or household computer area, so select your required purchase option and get cracking today! We suggest that you register to become an additional member of the broad and forever-expanding InkNTonerUK clientele, as by doing this you will be frequently updated on GREAT DEALS and seasonal give-aways/promotions. 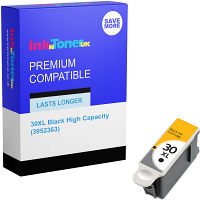 Why not 'Bookmark' this page as well to allow yourself a clear-cut one-click means in being directed right here, where you are now each and every time you necessitate the acquisition of NEW Kodak ESP C110 ink cartridges, as well as any other of the various consumables we vend here at InkNTonerUK! !